Carmilla is an 19th century vampire novella, set in Austria. It tells the story of a father and daughter that live in a schloss (castle) together, and that get a mysterious house guest in the form of a young girl called Carmilla. But of course, since her arrival things seem to be going wrong. Laura has severe nightmares, and she’s getting weaker every day. Carmilla resembles Dracula (which was written about 20 years later) in many ways. The atmospheres are the same, even though the narration is a bit different. 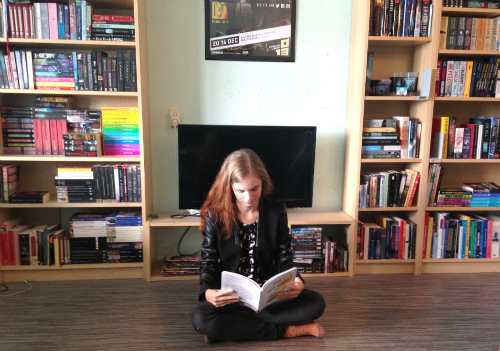 No letters and diary entries here, just a story told in first person by Laura. The schloss in the middle of abandoned woods was creepy and beautiful, two adjectives that can describe the whole book. 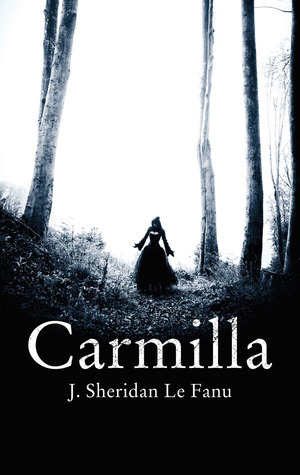 With just one hundred pages Carmilla is more of a novella than a full-size book, which can easily be read in one sitting. For people that are not used to reading historical fiction but that enjoy reading about some old-fashioned, through and through evil vampires, this short book would be perfect. There are also some strong lesbian-romance undercurrents in the relationship between Laura and Carmilla, which might be of interest to note. The language in Carmilla is very pretty, and in my opinion easily accessible for a modern reader. Recommended for lovers of vampires in the Dracula tradition. You are mine, you shall be mine, you and I are one for ever.